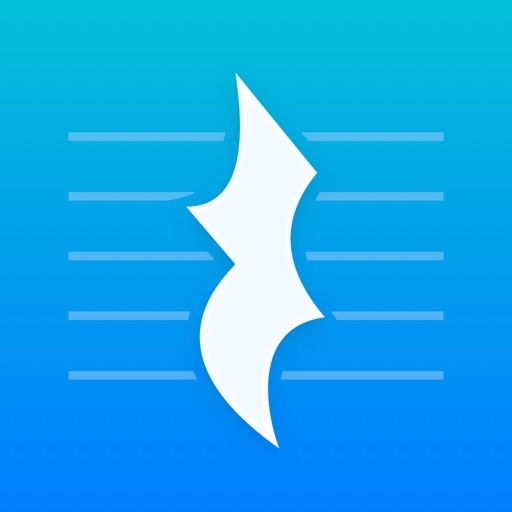 Download Tempi â€” Live Beat Detection free via AppsHawk. 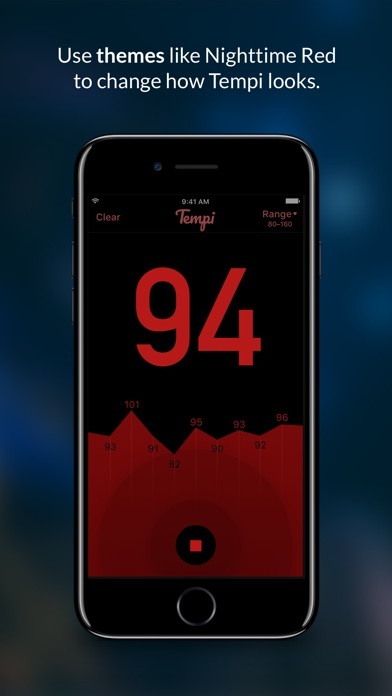 Tempi measures you and your entire bandâ€™s tempo live, while you play, and lets you analyze the performance when youâ€™re done. 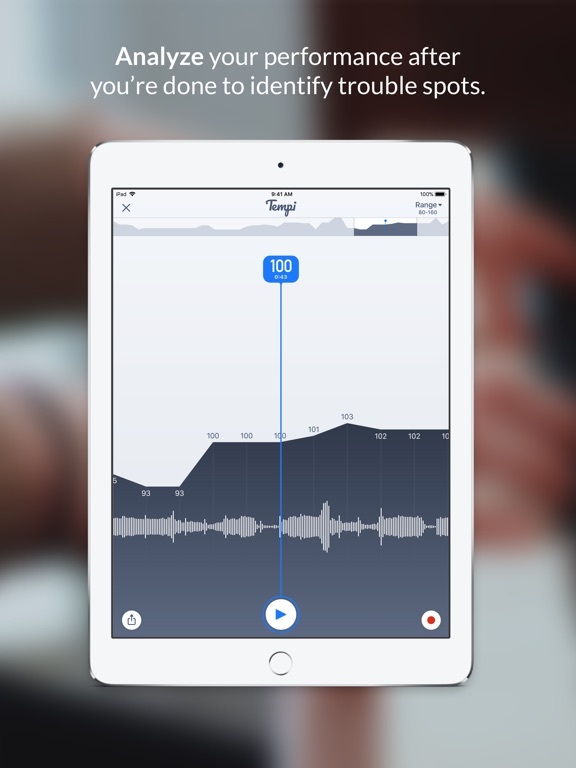 It's like a reverse metronome. 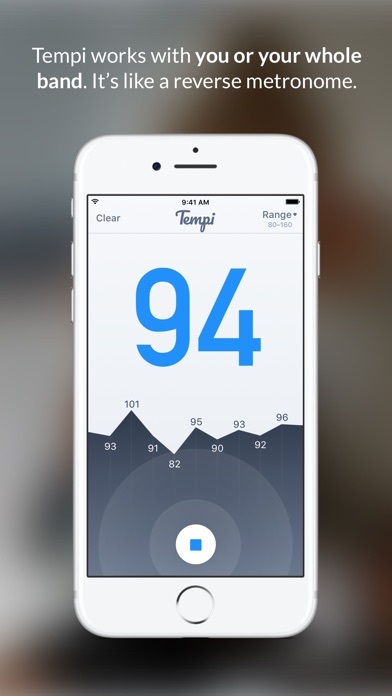 * Tempi listens while you (or your entire band) play. 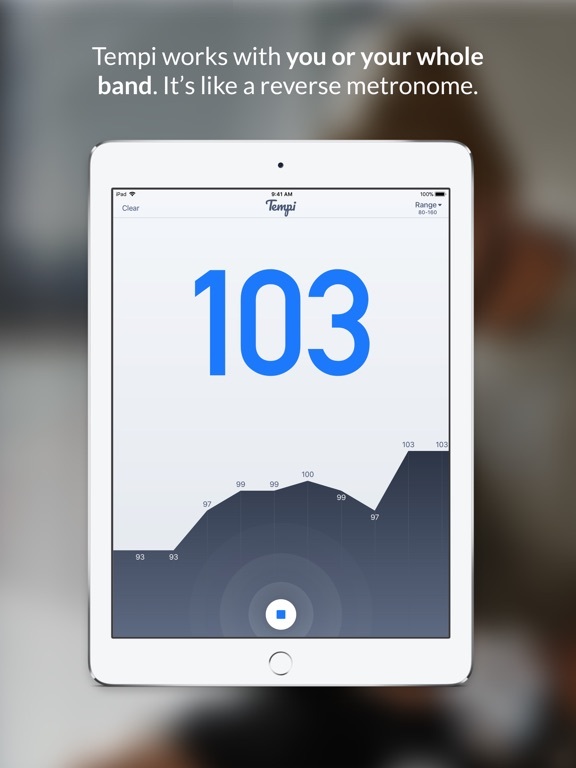 * Tempi reports the BPM (beats per minute) of your performance in real time with remarkable accuracy. 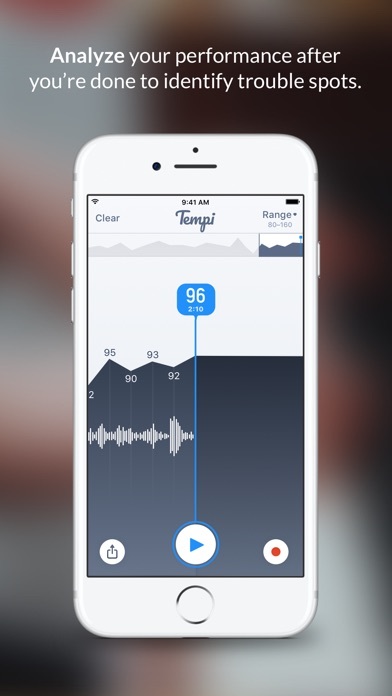 * When youâ€™re done, Tempi lets you analyze the recording so that problem areas can be pinpointed and improved. 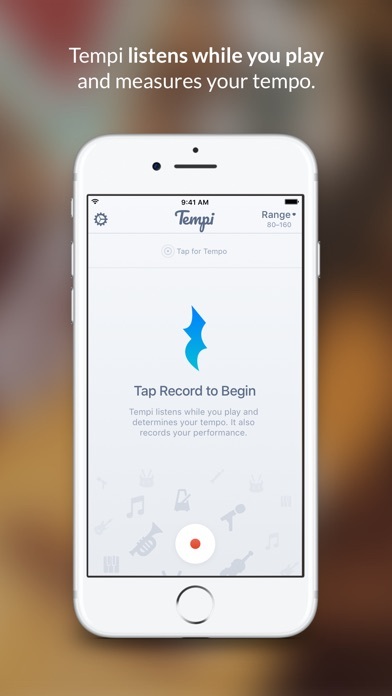 * Use Tap for Tempo to quickly get a BPM reading at any time. * Switch themes for easy nighttime use or just to suit your style. 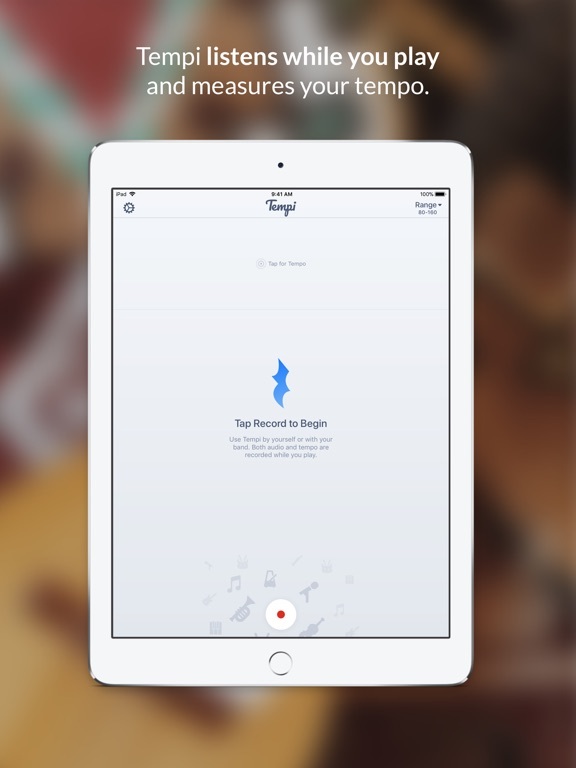 * Export the audio recording of your performance to keep or share with others. In a band setting, place the iPhone or iPad in a position where the entire band can see it so everyone will know when the band is speeding up or slowing down. 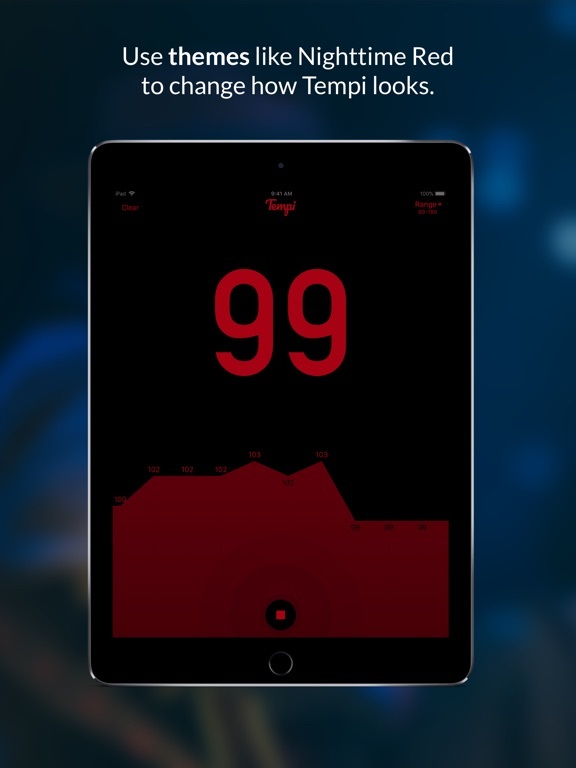 When youâ€™re done playing the song, press the stop button to analyze the performance. You can scroll through the entire song, isolate where the tempo sped up or slowed down, and play back the song to get an idea of what went wrong. Tempi works best when thereâ€™s a distinct â€œpulseâ€ to the song, like a kick drum/snare or a repeating chord, and assumes the player is trying to play at a consistent tempo. With less structured music it still does quite well but may occasionally report incorrect tempos.